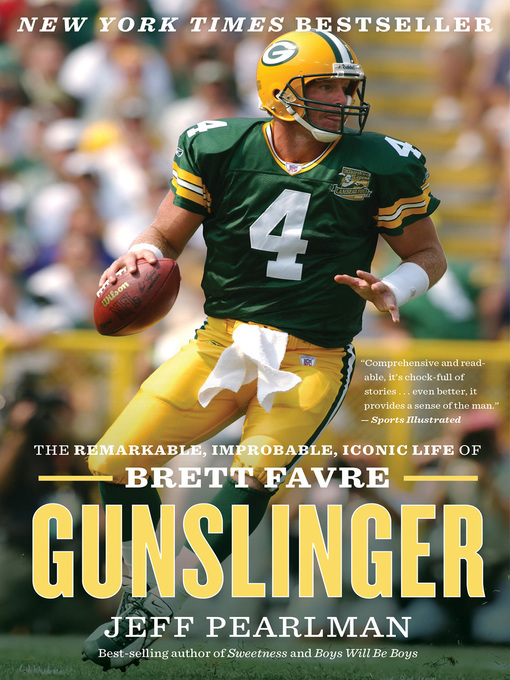 In Gunslinger, Jeff Pearlman tells Brett Favre's story for the first time, charting his unparalleled journey from a rough rural childhood and lackluster high school football career to landing the last scholarship at Southern Mississippi, to a car accident that nearly took his life, and eventually to the NFL and Green Bay, where he restored the Packers to greatness and inspired a fan base as passionate as any in the game. Yet he struggled with demons: addiction, infidelity, the loss of his father, and a fraught, painfully prolonged exit from the game he loved, a game he couldn't bear to leave. Gritty and revelatory, Gunslinger is a big sports biography of the highest order, a fascinating portrait of the man with the rocket arm whose life has been one of triumph, fame, tragedy, embarrassment, and—ultimately—redemption.